Alternative schools and programs continue to grow nationwide. Educators need updated tools to succeed in this changing environment, and this certification will equip you with those tools and strategies. Historically, we’ve labeled youth who are not thriving in school as “at risk,” and as a result, our educational strategies, curricula and support structures were geared toward these students’ failures and vulnerabilities. However, the scholarship on “at risk” students has evolved, and we’ve learned new, more effective ways of engaging with students who are not thriving in school. Through this Alternative Education Certification, we analyze the dated notions of “at risk” status in order to promote contemporary understandings of how students are placed at risk. In this program, you’ll learn how to create school communities, instructional experiences and student support structures that emphasize students’ capital, resiliency, promises and possibilities. We believe it’s possible to educate every child to reach his or her potential as long as educators are willing to implement diverse processes to realize this aim. This certification is designed to reach a broad audience within Wisconsin, allowing you to network and exchange winning strategies with peers from across the state. The program’s two flexible and online courses also make it easy to fit it into your busy schedule, no matter where you live. If you’re already a certified teacher, completing this two-course program results in a Wisconsin Department of Public Instruction-granted 952 add-on certification. Both courses are offered fully online and are taught by faculty with experience in alternative schools and programs. You’ll interact with educators from around the state to assess and create intervention and prevention models. You can take both courses concurrently and finish in as little as one semester. You’ll exchange practical experiences and timely strategies with peers in alternative schools. Thank you for your interest in the Alternative Education Certification program at the University of Wisconsin Milwaukee. 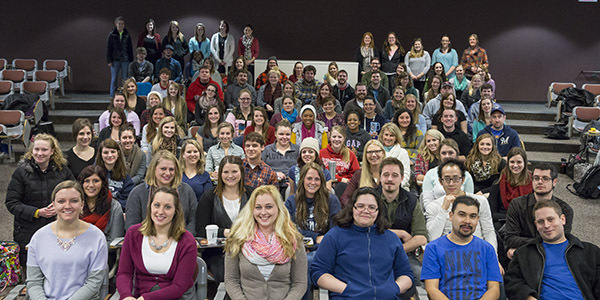 (ED POL 534 Students at Risk and ED POL 535 Educating At-Risk Students). EDPOL 534 is a foundations course which explores and critiques legislation, conceptual arguments, achievement disparities, and the field of Alternative Education. EDPOL 535 is a course which explores and critiques instructional and non-instructional support systems for students placed at risk. When these two courses are completed, an already DPI licensed educator may apply for an add-on certification to teach in alternative education settings for students placed at risk. A mini-portfolio is also required, but is an embedded aspect of the two courses (i.e., the course assignments are evidence to be used for the portfolio). We typically offer Ed Pol 534 and Ed Pol 535 online every fall, spring, and summer. Our summer courses are accelerated and our fall and spring courses are 16 weeks. For teachers who are not teaching during summers, our summer scheduling option offers a unique opportunity to complete the add-on certification a shorter amount of time. For an up-to-date listing of courses you can visit the UWM Schedule of Classes webpage. If you would like to take the courses as part of an accredited master’s degree program you will need to apply to the graduate school. For more information on this please visit the UWM Graduate School website. If you just would like to take these courses to earn the certification and are not intending to use the courses for a graduate degree you may apply as an undergraduate university special student. Please email Dr. Raquel Farmer-Hinton (rfarhin@uwm.edu) for detailed instructions or follow the instructions in the “Frequently Asked Questions” document with application instructions. In order to move forward with your application, please know whether you plan to be apply and be admitted with undergraduate special student status or graduate special student status since the courses can be taken for undergraduate credit or graduate credit (and there’s a higher cost for graduate credit). With graduate credit, there are additional responsibilities (e.g., depending on the professor, you could have to write an additional paper or two). You may also want to check with your employer to see if you’ll get reimbursed based upon graduate credit or not. Please email Dr. Raquel Farmer-Hinton (rfarhin@uwm.edu) for detailed instructions or follow the instructions in the “Frequently Asked Questions” document with application instructions. Please note that after you apply to our program, it takes 7-10 days to get an acceptance letter that includes your Panther ID and password. You will need the Panther ID and password in order to register for our two online courses for the program: EDPOL 534 and EDPOL 535. How Do I Get the Add-on Certificate? Complete a mini-portfolio, which is addressed through work completed in the required courses. The portfolio will be assessed by the instructors. Fill out the Alternative Education Licensing Request Form. Your data will be uploaded to DPI’s Educator Licensing Online system and validated. It can take up to four weeks for endorsement and recommendation to DPI for licensure. After this time, you will receive an email with a date to apply for your license using DPI’s Educator Licensing Online (ELO) system. If you have any further questions about getting your add-on license, please contact our Certification Officer, Kathy Berry, at (414) 229-4721 or cert-licensing@uwm.edu. If you have general questions about the Alternative Education program, please contact the program coordinator, Dr. Raquel Farmer-Hinton, at (414) 229-3320 or rfarhin@uwm.edu. Dr. Farmer-Hinton and Dr. Swaminathan are key faculty in the Alternative Education program. Their faculty bios, including their research activities, can be accessed below. Our Alternative Education program participants are typically working educators who need the add-on Alternative Education certificate for employment or professional development within the State of Wisconsin. If you are looking to work with students who have been placed at risk, please refer to the respective school district employment opportunities that require the add-on Alternative Education certificate.